To Fit: Saab 9-3 all Trionic 7 (B205 engine types), 4 cylinder petrol models 2000 to 2002 & 2003 convertible (EXCEPT AERO & VIGGEN - B235R, B205R). If you are at all unsure as to the suitability of this part for your car, please send us an email with your VIN number and we can check and confirm for you. 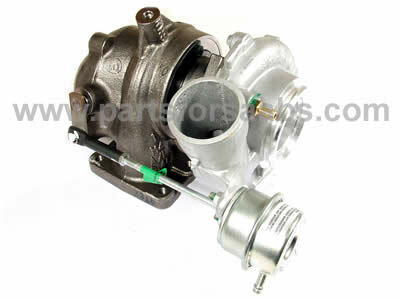 This unit is a brand new genuine Garrett turbo charger, Garret is the OEM supplier to Saab for this item, so this turbocharger is exactly the same as the genuine Saab unit in all respects except for the price! Comes complete with 12 months manufacturers warranty.